Our telephone number is 757-787-1331. Although you will probably get an answering machine, it is generally checked a least once a day so your call will be returned. 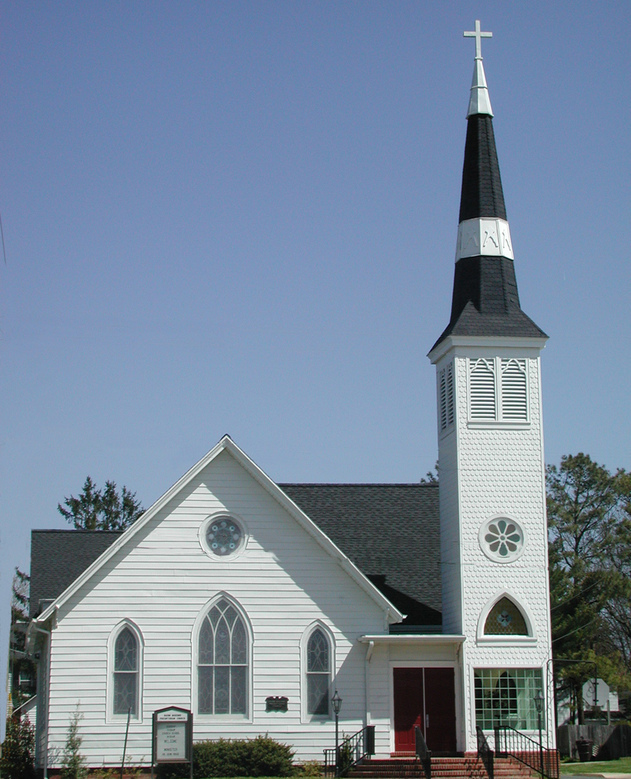 Our church is located at the corner of Market and Lee Streets (89 Market St.) in the Town of Onancock, VA, the gem of the Eastern Shore. From Route 13, follow Route 179, Market Street, west for about 2 miles. Our church is the first church on the right; it is white and has a tall tower and steeple. We do have a handicapped entrance (elevator) on the Lee Street side of the building.